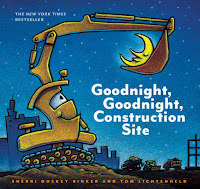 Synopsis: With lyrical rhymes and beautiful illustrations, this top-selling book describes what Excavator and his fellow construction crew, including Dump Truck and Bulldozer, do after a long day of “rough-and-tough construction play”: they take a bath, snuggle into their dirt beds, and go to sleep. Bilingual benefit: The English language version of the book is like Shakespeare for a lil one obsessed with wheels. The lyrical language rhymes well, is enjoyable to read out loud, and, I hope, will inspire a love of poetry…or perhaps just cement my son’s love of trucks. 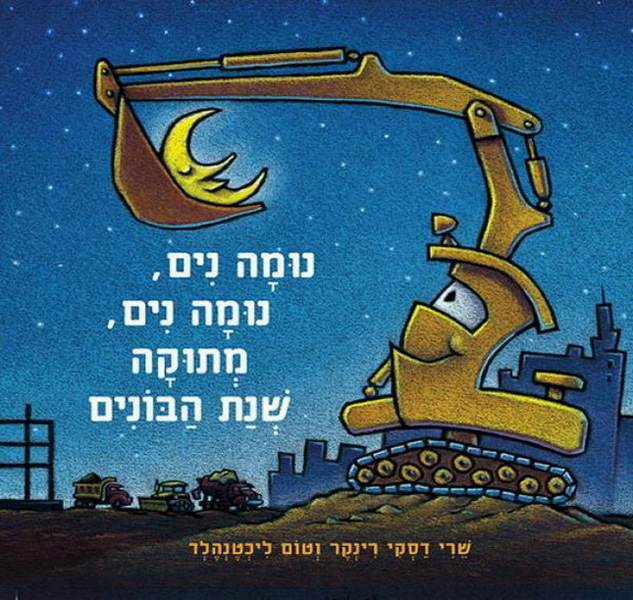 While the language may seem rather high for a toddler, Israel is one giant construction site and our son loves to point out all the cranes, excavators, and bulldozers. For over a year, this book was a favorite with regular requests to read and shrieks of joy when I suggested it. 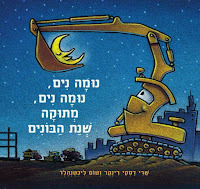 Availability in Israel: The English version of the book does not appear to be readily available in Israel but can be ordered online. While I have never seen the Hebrew version in any of the brick and mortar bookstores in Israel, it is available for order online from Israel's major booksellers. Previewing the book: This book is available for preview on Amazon USA. (last checked 01/06/2015). Mama: Highly recommended. I would buy this again and for a friend. 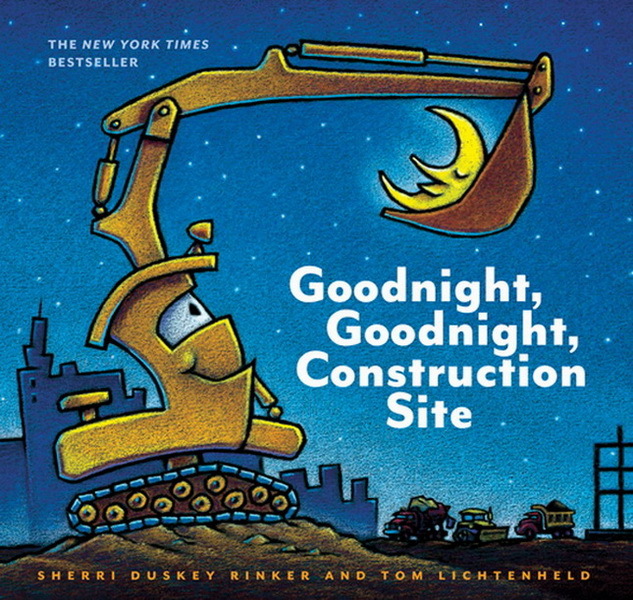 I also recommend checking out another delightful bedtime story from the same author - "Steam Train, Dream Train." You can also check out all my reviews of books that received 5 of 5 stars.